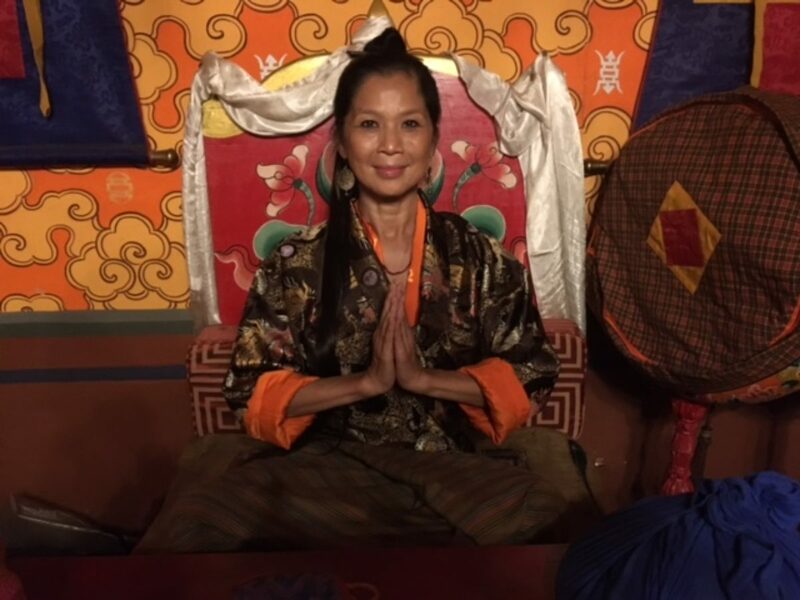 Ama Lia Wai Ching, 60 earth years, is an intuitive healer descended from a lineage of natural healers on both the paternal and maternal sides. Her work with water began at an early age when flower baths were frequently taken as ablutions of purification and holy water was used to consecrate homes and temples. She created Infinity Quantum Qi Gong, realising that the human body is fluid, and Qi is calibrated in many densities and frequencies, in the blood, lymph, synovial fluids, cerebro spinal fluids and that healing and harmony is restored by affecting the fluids as medium of Light. Her passion is in discovering synergies and correspondences in the human condition and psyche, metaphysics and science that converge to the understanding of universal intelligence and unification. In 2007, Ama Lia Wai Ching was the Qi Gong Sifu on the Gratitude Cruise in the Caribbean with Masaru Emoto as a keynote speaker. Her role was to take the attendees through the connection of the body with the ocean and the cetacean intelligence. She has also travelled with him to Sedona for water ceremonies with the native peoples, as Water Bearers and Protectors. She endorses a few water technologies including the Alpha Spin a scalar wave crystal that forms perfect hexagonal water crystals. With over 20 years of experience as a leader in the fields of Health, Wellness, Mystic Arts, Movement and Transformational Work, Ama Lia serves as advisor and consultant for the Medical, Luxury Spa/Hotels and Business industries.